It’s been 2 weeks since my arrival in Azerbaijan for my Kiva Fellowship and every day I grow more confused. 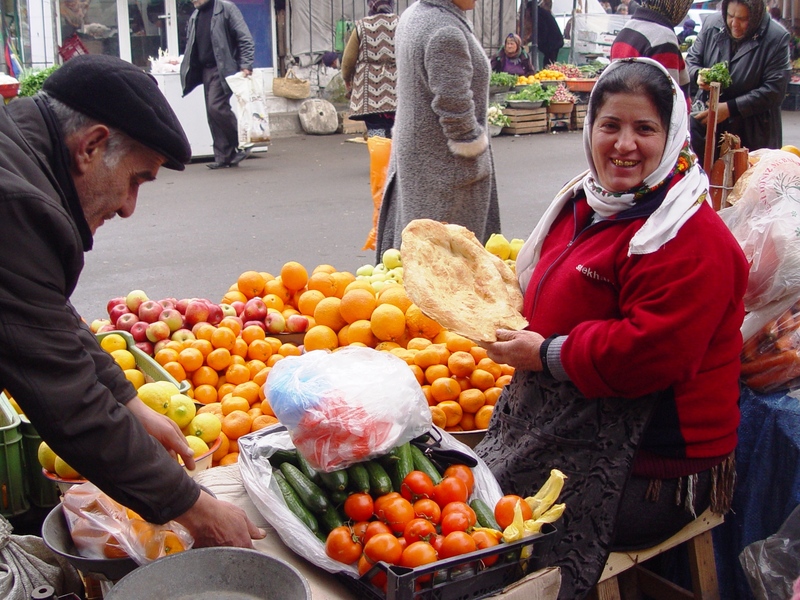 Serving in Azerbaijan is a very different experience from the typical Kiva Fellow placement. The scenes here of the capital, Baku, aren’t the stereotypical poverty we envision in Africa or south Asia. By World Bank figures, Azerbaijan is wealthier than more than 54% of the world’s countries; amongst Kiva’s portfolio countries (which include the U.S., Israel, and Mexico) it ranks 8th by GDP PPP per capita. The reason Azerbaijan has gained extraordinary wealth is due to its production of oil. The black gold they dig up accounts for 94% of the country’s export revenues. Between 2006 and 2008, it had the world’s fastest growing economy. To put that money to use, government spending increased by 30% in 2011. Downtown Baku with flag flying high over Executive Branch building. Looking at these figures, Azerbaijan is seemingly headed towards Emirate style wealth. But the story on the ground is much darker and more complex than what the numbers suggest. On a recent weekend trip I saw firsthand the complexity of the story developing in this country. Along with two newly befriended Fulbright Scholars and a structural engineer, I traveled to the south of Azerbaijan to the town of Lankaran, just 25 miles from the Iran border. Right from the start, the glamorous headlines of prosperity unravel. While waiting on the platform, a police officer asked to see our camera, and then proceeded to harass us claiming that we took a photo of him in order to solicit a bribe. 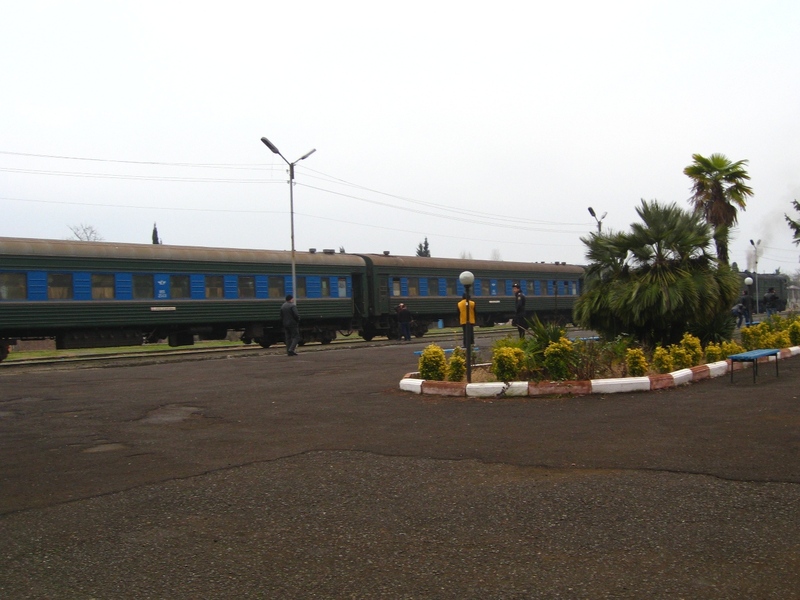 To make matters worse, our 8 hour overnight ride was on board a decrepit Soviet-era train with cabins at a constant 80 degrees and foul sanitation. Didn’t they use this in From Russia With Love? The town of Lankaran is typical of most towns in Azerbaijan; stories of economic prosperity are lost at first sight. 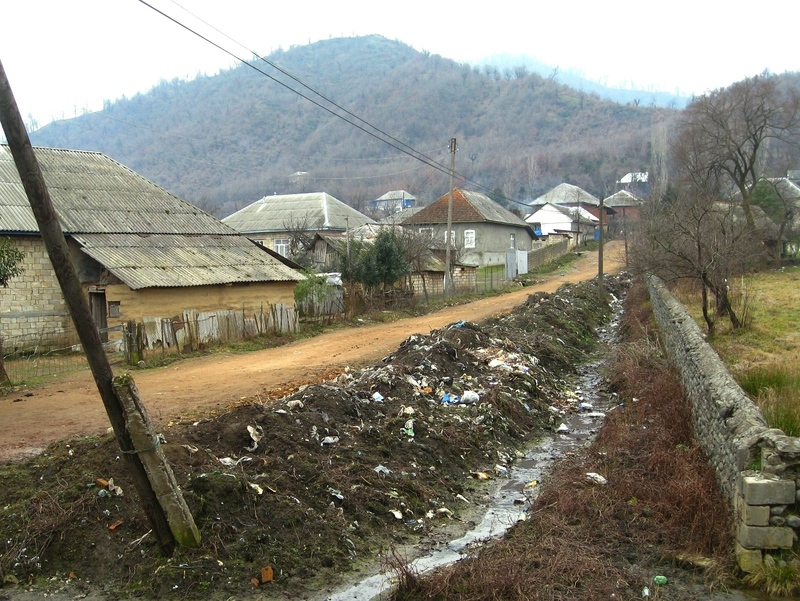 Paved but crumbling main streets lead to battered dirt roads alongside bland, concrete apartment buildings. Inside, people live in deteriorating quarters, with only their satellite TV to distract them from the melancholy outside. These are the places Kiva’s microfinance partners primarily operate. While new stores are popping up, the majority of commerce happens in the central market. Women tend to the fields and in turn sell the produce. 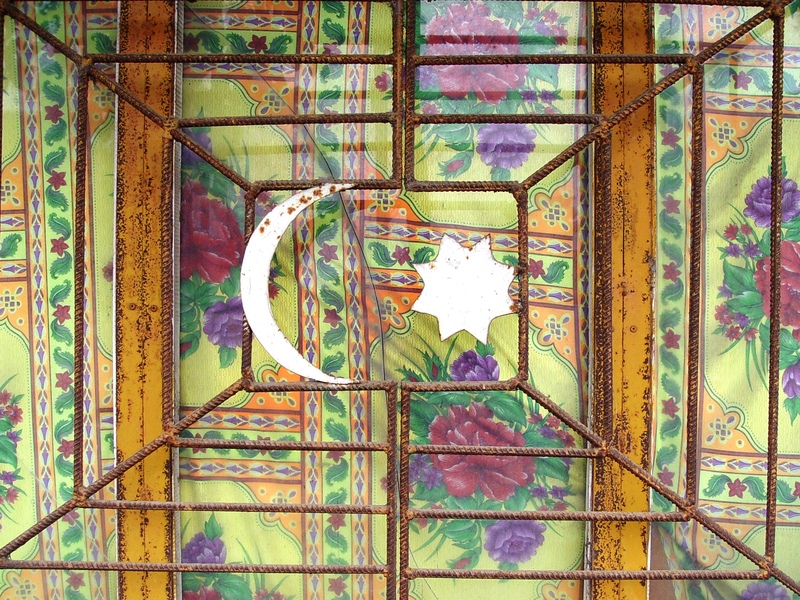 Underneath their colorful headscarves, the bleak surroundings are lost in their affable smiles. Everyone offers a salam or здравствуйте. Life here is a long way from the prosperity of Baku up north. Stretching along the Iran border, the Talysh Mountains provide a beautiful nature getaway and several hot springs are found throughout the area. In the small town of Istisu 15 minutes northwest of Lankaran, we stayed overnight with a host family. Zenal, who works as a taxi driver at the local airport, has been here most of his life and over dinner discussed how the region has changed. “Years ago, this was all tea fields,” he pointed out onto the hills where Lankaran tea was once a renowned export. The hills are now dotted with small homes. He explained how tea is very tedious to grow; it takes 7 years from planting the seeds until picking the leaves. After the fall of communism, land ownership was given out. For families with small plots of land growing tea was no longer economical. 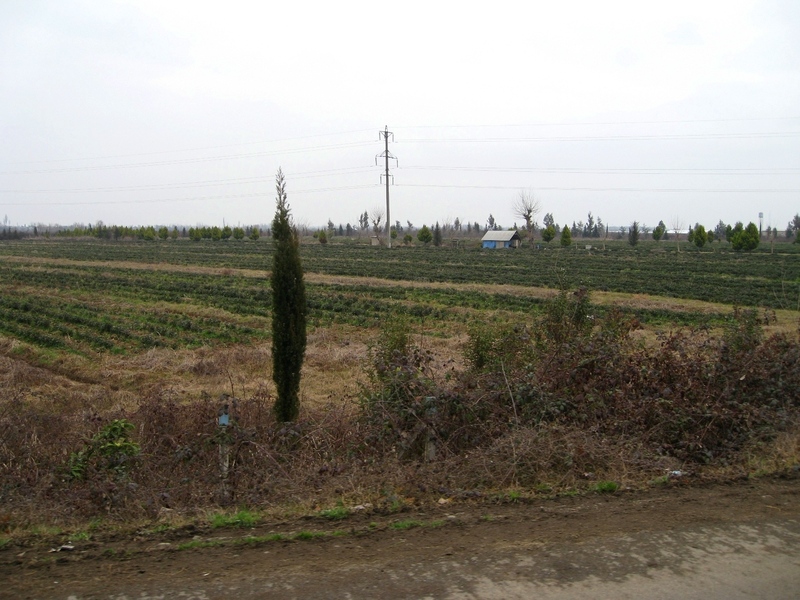 Tea grown for a commercial factory outside Lankaran. Instead, tourism is the new prospect. 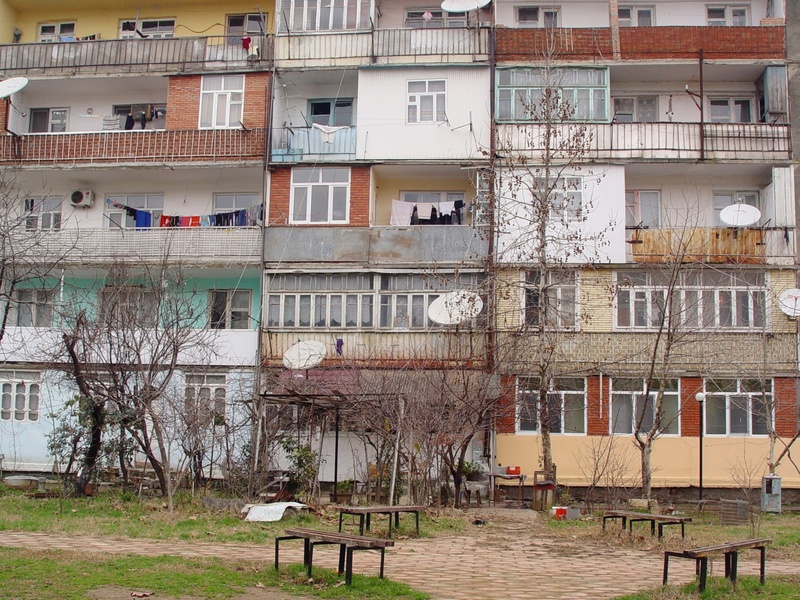 “Today, people from all over – Europe, Baku – build their summer homes here. It is very busy here in the summer.” Behind his home stands a large abandoned building that used to function as a sanitarium that closed in 2000. The property was bought up and a European style resort is planned for construction. A gated entrance in the village is now constantly guarded by security. When I asked him about his thoughts on the state of things, Zenal was optimistic. He’s seeing people return here in larger numbers each summer. For villagers who often live off 4-5 Manat a day (5-6 USD), the 28 Manat we each paid for the night with dinner and breakfast was a fortune. Housing travelers, Peace Corps Volunteers, and the like is a lucrative business for those who have the space. As for the tea, the government has passed a new law allowing for government run communal farms. Anyone can participate in the farm and earn a share of profit. For the last two weeks, I have been working with Kiva’s partner MFI AqroInvest Credit Union. On my first day back at work, I told my Kiva Coordinator, Tamilla, about my trip. While I described the development happening in the region, she was not as cheerful about the future. “Usually the prices at these hotels are very high and the service very bad.” In response, I postulated that over time competition will improve service. The road through Istisu to the hot springs, the major tourist draw. If you want to be successful in this country, you have to have an ‘in’. That may be the law, but the people aren’t all benefiting equally from their oil. 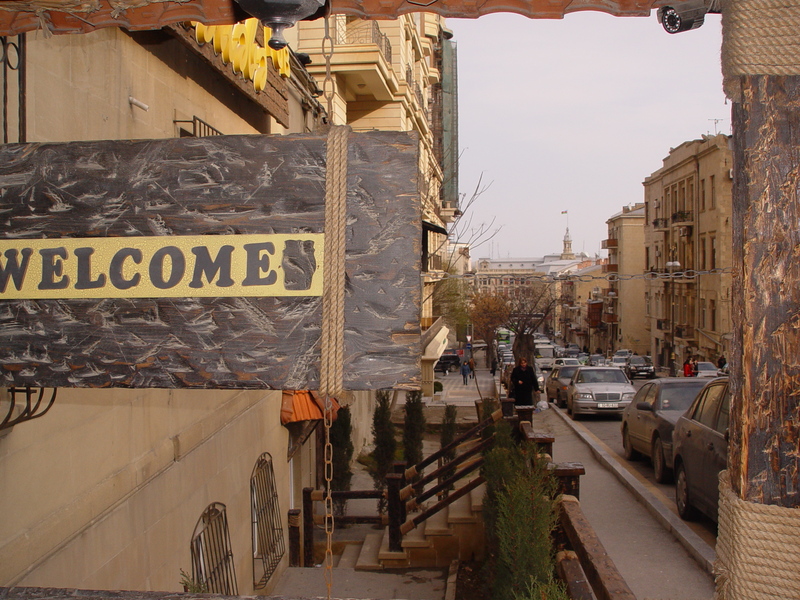 While the prosperity of Baku is real, this cannot – and should not – be generalized for Azerbaijan as a whole. 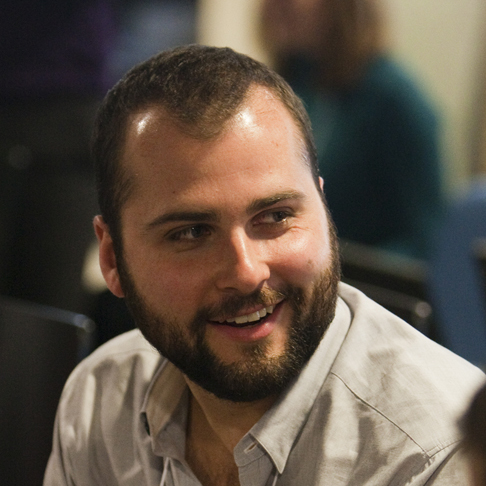 Dimitri Zakharov is a Kiva Fellow (KF20) currently roaming Azerbaijan. He has been living in Baku and working with three diverse field partners: Komak Credit Union, which lends primarily to internally displaced persons (IDPs) from the Nagorno-Karabakh War; Aqroinvest Credit Union, which focuses on both IDPs and Azerbaijan’s rural poor; and VisionFund AzerCredit, Kiva’s newest and largest field partner in Azerbaijan. Join the lending team Supporters of Azerbaijan, and make a loan to a Komak, Aqroinvest, or AzerCredit borrower today!